We are rushing headlong toward an early harvest here in the Santa Ynez Valley in the Santa Barbara wine country. In fact, early ripening varietals like Pinot Noir started coming off the vine a few weeks ago in some local vineyards, and by the end of the month we should be harvesting estate Chardonnay for our 2014 Jarhead Chard. We are not alone—the harvest is early across California this year, due to the prolonged drought, in tandem with a warm spring and moderate summer. Simply put, there was nothing holding the vines back from getting the show on the road this year. In some years, wet winter weather or a cold spring or a cool summer will slow things down. This year, none of those phenomena occurred, so here we are in mid August with the harvest coming sooner rather than later. Yields are healthy despite the dry conditions, and the grapes are having no trouble reaching maturity. This should all lead to ripe, concentrated flavors. In other words, you can expect some tasty wines from 2014. Of course, we still need rain this winter to make sure that the vines and aquifers remain healthy. 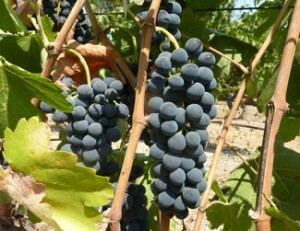 A little stress on the vine can produce nice concentrated wines, but at some point they need some relief. So in addition to expecting great wines from 2014, we are praying for rain in 2015! Have you heard of Honor Flight, a national nonprofit organization that provides tours for American veterans, escorting them to Washington D.C. to visit memorials erected in their honor? It is a remarkable effort that serves a noble cause. For this reason, Jarhead Wine Company and our affiliated Firestone Walker Brewing Company recently committed to funding Honor Flight trips for 10 local resident veterans of World War II. On that note, people and communities across the nation are similarly pitching in to make honor flights possible for our veterans. We encourage you to visit the Honor Flight web site and to help spread the word.